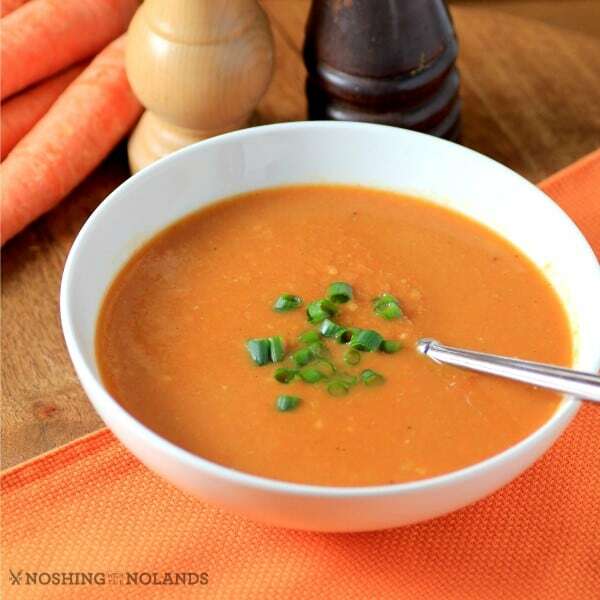 I am sharing a new exciting product with you today called Veggemo with this Creamy Vegan Moorish Spiced Roasted Carrot Soup. Sounds amazing doesn’t it? And it really is! We love cooking vegan or vegetarian at least once a week here. We have done that for years and years. So, I was enthralled to try the Veggemo and to create a recipe just for it. What is Veggemo you ask? Well it is a non-dairy beverage made from pea protein, tapioca and potatoes. It is creamy and white just like 2% milk and has a delicious taste. I was leery but we all agreed here, that it is very good. When you need a beverage that is one or all of these, gluten free, dairy free, soy free, non GMO, cholesterol free, vegan and Kosher, Veggemo is the answer. 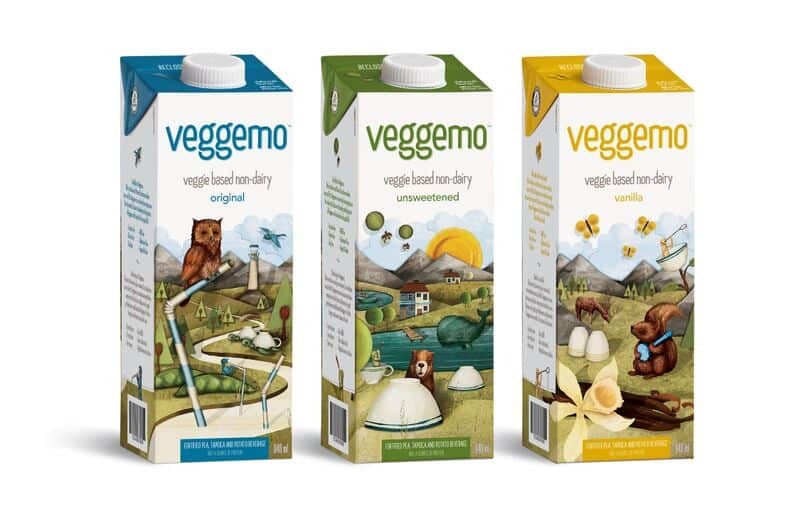 Veggemo comes in three delicious flavors, original, unsweetened and vanilla. For our soup today I used the unsweetened. Veggemo is rich in calcium, Vitamin D, and is an excellent source of B12. I used Veggemo in place of cream or milk to add to the creaminess of the soup. I have added potatoes before to soups to keep them vegan but to get that added creaminess, it is a great trick to know. The soup I have for you today is one that I got inspiration from when I was at The Cookbook Co. here in town. They kindly fed me a bowl when I had arrived early for a presentation. I thoroughly enjoyed it and have it tweeked here for you today with the added benefit of delicious Veggemo! Lots of people have made the decision to eat more plant based products either for their health, for the planet, for the well-being of animals, or just to add in a Meatless Monday meal to their diets. This is where Veggemo can help you out. 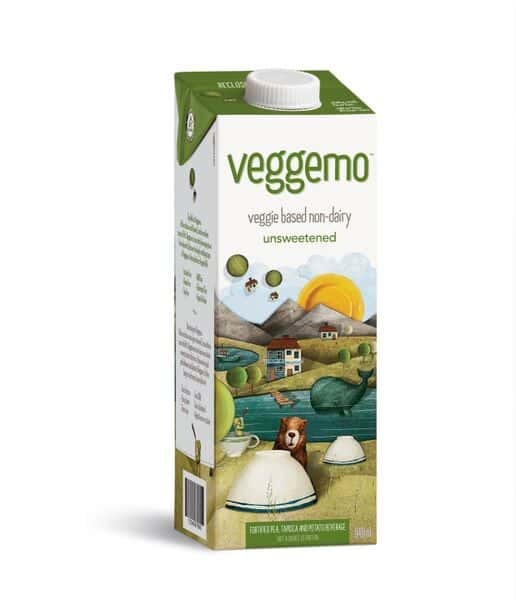 Try some of the Unsweetened Veggemo today, it has only 90 calories per cup. Come and follow Veggemo on Facebook, Instagram, Twitter and Pinterest! 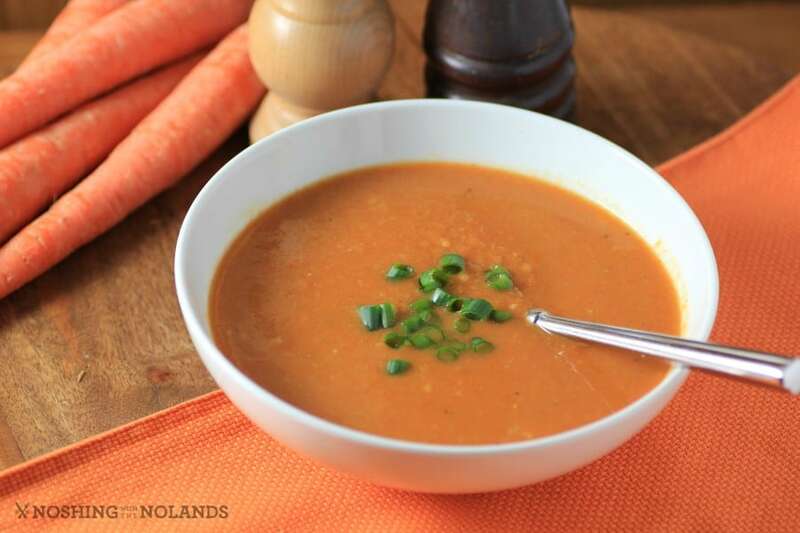 A delighfully creamy vegan soup with roasted carrots, yellow split peas and the added deliciousness of non-dairy Veggemo. Preheat oven to 400F. Peel carrots and then cut in half, cut the larger bottom sections in 6 pieces and the tops in quarters. Place on a large rimmed cookie sheet. Toss with ⅛ cup of olive oil, salt and pepper. Place in the oven and bake, tossing every 20 min. for 1 hour. The carrots should be very tender and caramelized. Meanwhile in a large pot, add the remaining ⅛ cup of olive oil, saute the onions and garlic, until the onions are translucent. Add the cumin, corriander, fennel and ancho and cook for 1-2 min. Add the yellow split peas, stock, and the carrots. Simmer for 20 min. Add the veggemo and simmer for 10 min. or until the split peas are tender. Add the lemon juice and blend with a hand blender but leaving the soup just slightly chunky. Serve topped with green onions. Even better if made ahead of time and cooled to let the seasoning meld. Recipe adapted from the cookbook Calgary Cooks by Chef Andrew Winfield at River Cafe. I’ve not heard of Veggemo, but I will look for it! 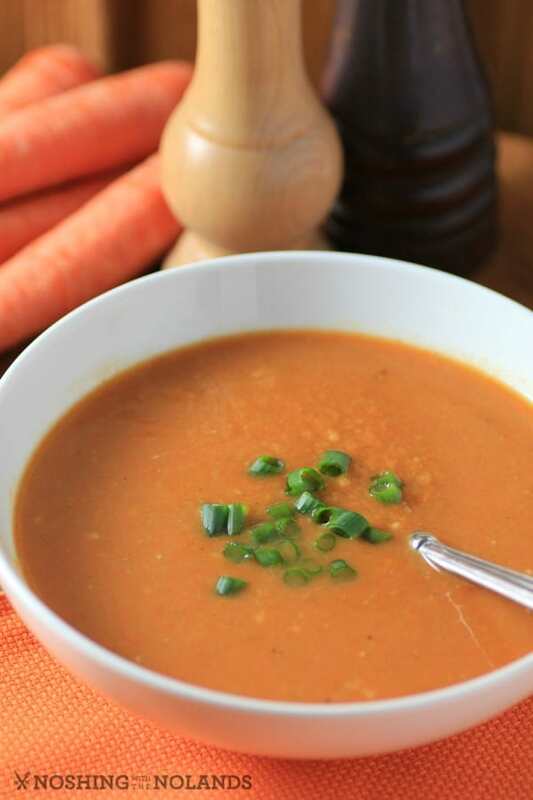 I love roasted carrots, I can’t imagine that I wouldn’t love soup made from them. YUM! Such a gorgeous and luxurious soup! Thanks for the recipe! Lots of flavor and a perfectly creamy soup. This looks delicious such an amazing bowl of veggies and creaminess! Carrot works so well with spices doesn’t it? Looks lovely. I just found out about Veggemo myself and LOVE it! The flavors in this soup sound incredible!!! I need to try Veggemo!